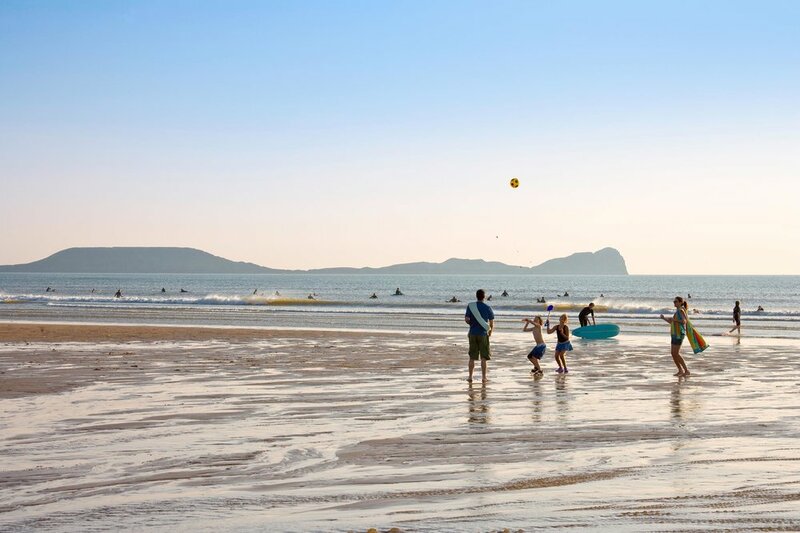 Walk, swim and generally luxuriate on one of the country's most beautiful stretches of coastline, with legendary Worm's Head, Three Cliffs Bay and Llangennith Beach among the many to choose from. Proudly tell people down the pub that you've been to somewhere so stunning it was designated Britain’s first Area of Outstanding Natural Beauty in 1956. Britain’s first AONB, the 19 mile-long Gower peninsula starts at Mumbles and extends westwards. Famous for its beautiful coastline and beaches from vast Rhossili Bay to tiny, secluded Pwll Du, it's an impressive place. Inland there's sheltered woodland and some nice, grassy hills, but the highlights are pretty much the entire coast: Worm's Head, Three Cliffs Bay, Devil's Bridge, Bluepool Corner, Llangennith Beach, Slade Sands. The essential journey for walkers in Gower is the coast path, which covers entire perimeter of the AONB (part of the Wales Coast Path if you're up for a proper lengthy hike). Getting there: Drive from Cardiff (1.5 hrs), or train (2 hrs). Drive from London (3.5 hrs), or train (4.5 hrs). Travel times from where you are: See the Gower on Google Maps. Guidebooks: No dedicated guidebooks - best bet is the Rough Guide to Wales or Lonely Planet's equivalent. Walking route guidance: have a look at the Wales Coast Path's Gower sections. Tourist board: dedicated pages on Visit Swansea or Visit Wales. Read about the best Gower walks from the Telegraph, the definitive Gower beach guide from Wales Online or this from Wanderlust on surfing Gower. Wales Online also weigh in with this guide, and Epic TV make the very valid claim that the Gower is an overlooked climbing destination.